Mary J. Blige is still upset with media outlets for reporting that she and her husband Kendu are divorcing. 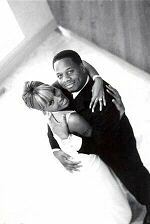 Blige's pal Bryan Michael Cox (producer) says, "Blige and Kendu have never been more in love. It's wild. I was just with them a few weeks ago and we were laughing about it. I don't know if I would've been so quick to believe him... But that's just my opinion. What's your opinion--To Believe or Not to Believe? Snoop Doggy Dogg is officially a wanted man.